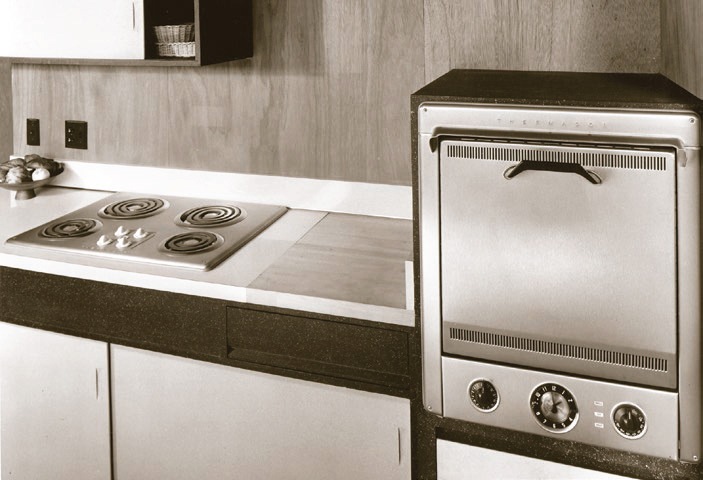 Two shots of the 1950s Eichler kitchen, when Thermador ovens and cooktops were brand new and state of the art. Rob and Lauren Sorokolit knew they'd lucked into something special when they became the second owners of a custom Sacramento home by Carter Sparks. Sparks, the designer of tract homes for the Streng Brothers in the Sacramento Valley, is an architect with a style of his own. He focused on every detail—the colors, slats along the stairway, lights that illuminate the ceiling, the kitchen. But what the Sorokolits didn't know was what to do with the stove. "I cook a lot, and I had mixed feelings about electric stoves, electric ranges," Rob says. "And the oven wouldn't heat at all. I said, let's replace it." Not so fast, said Lauren. "You're more interested in functionality," she tells Rob, as they recall the dispute. "Because I don't cook as much, I was more concerned with how it looks." Soon Rob had a change of heart. "After a couple of months, it just grew on us. It's so cool," he says of the stove, a Chambers AR9-H from the mid-1960s that was original to the house. 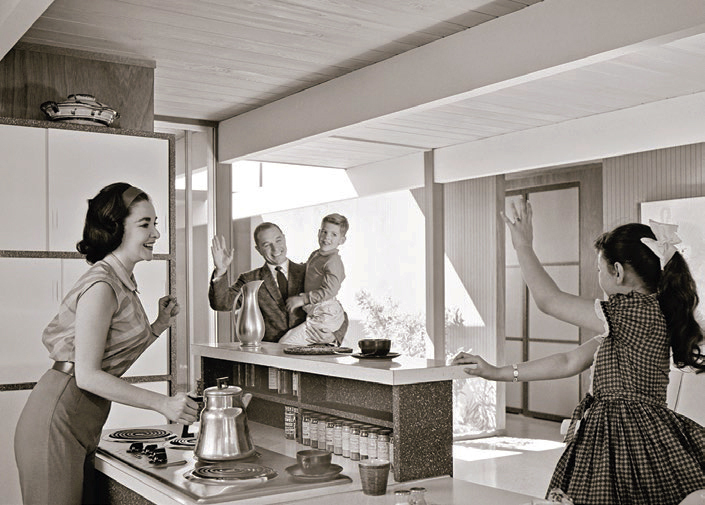 Kitchen remodels are a major industry in mid-century modern homes, as fanatics for food and entertaining sink big bucks into gas ranges once found only in restaurants and ovens that can bake a pizza in, seconds. Rob sums up the attitude of many new owners of old kitchens: "A lot of people assumed one of the first things we were going to do was replace the oven." But Rob and Lauren aren't alone in their determination to retain historic cooktops and ovens. The stoves, their adherents say, are just so cool and are an important part of the home's look. Still, how far can rational people go to preserve a cool old cooktop? As one visitor said to another cooktop fan, Nelson Au, about the kitchen appliances in his Foster City Eichler, "Why don't you upgrade everything and make it all modern? Why suffer with old stuff?"